Slender elastic bands interlaced in a tight basket weave define the heel of this lightweight pump crafted with a rounded suede toe, a tapered heel and a modest rocker platform. Style Name: Bernie Mev. Palma Woven Platform Pump (Women). Style Number: 5198126. Available in stores. Engineered with treated suede and a rubber platform sole, this waterproof boot keeps rain, slush and snow at bay while a faux-fur cuff, plush NB HEAT lining and a Fresh Foam footbed provide all-day warmth and comfort. A heavily lugged sole helps you stay sure-footed in inclement weather. 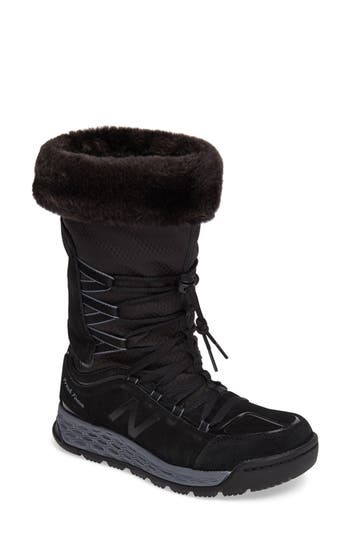 Style Name: New Balance Q416 1000 Faux Fur Waterproof Platform Boot (Women). Style Number: 5183461 2. Available in stores. A twist on a classic hiking boot, this lace-up design is lifted by a lugged platform and stacked heel for a look that balances '90s club and grunge styles. 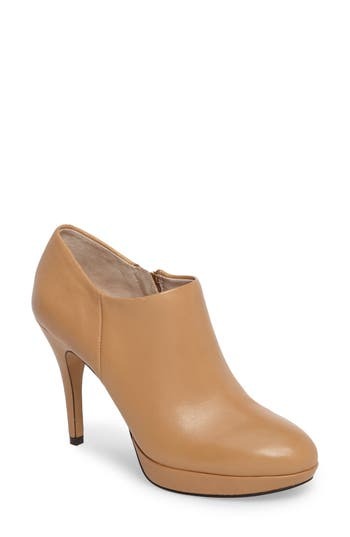 Style Name: Steve Madden Laurie Platform Bootie (Women). Style Number: 5321175. Available in stores. A golden interior plate at the heel amplifies the modern silhouette of a sleek, over-the-knee boot crafted from supple leather. 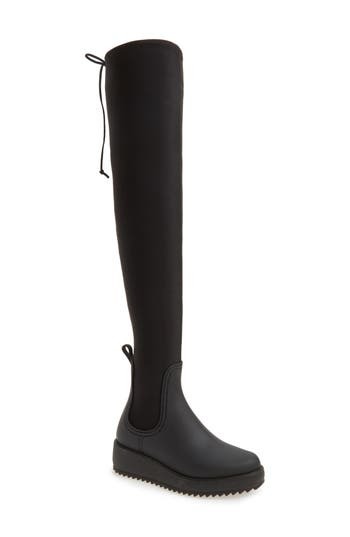 Style Name: Calvin Klein 'Polomia' Platform Over The Knee Boot (Women). Style Number: 5266275. Available in stores. 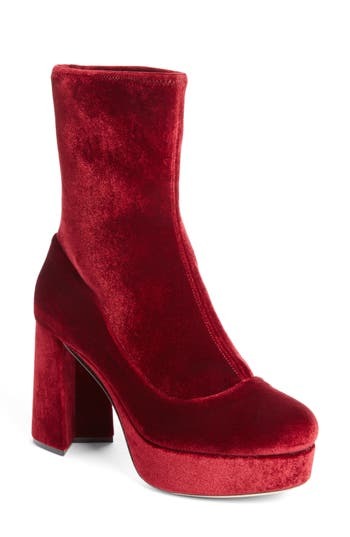 A lofty platform and architectural block heel lift a sky-high boot in luxe, velvety-soft fabric. 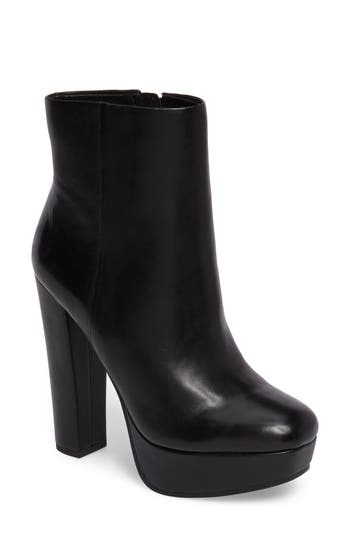 Style Name: Miu Miu Platform Boot (Women). Style Number: 5377923. Available in stores. A streamlined silhouette and wrapped platform sole heighten the modern glamour of an impeccably crafted Italian bootie. The glossy red lacquer sole provides a glimpse of signature Louboutin style with every step. 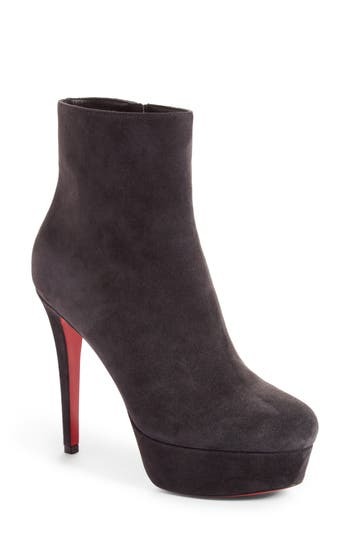 Style Name: Christian Louboutin 'Bianca' Platform Bootie. Style Number: 5204242. Available in stores. A chic mix of leathers adds textural appeal to a platform boot set on a cool lugged sole. 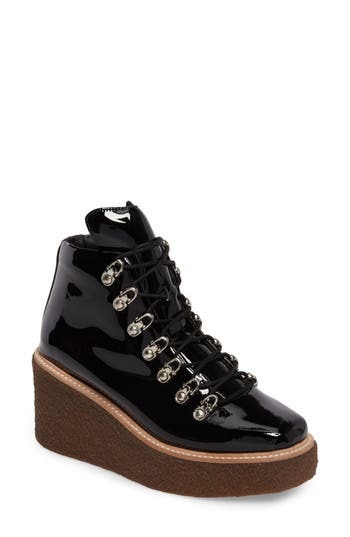 Style Name: Camper Wanda Platform Boot (Women). Style Number: 5415667. Available in stores. Lined with plush faux fur, this minimalist suede boot features a generously padded footbed, two side zippers and a grippy cupsole for added comfort and traction. Style Name: Jslides Allie Faux Fur Lined Platform Boot (Women). Style Number: 5233694. Available in stores. A generously padded cuff of patent leather gleams on an apres-ski nubuck snow boot lofted on a toothy lugged platform. 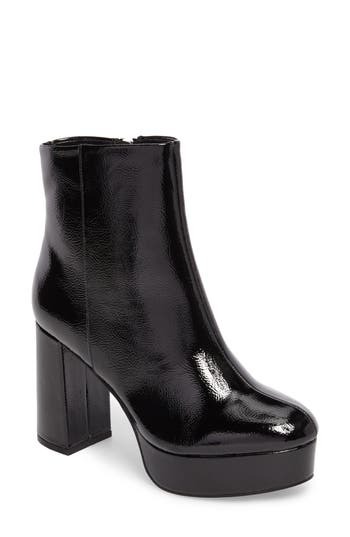 Style Name: Acne Studios Tinne Lugged Platform Boot (Women). Style Number: 5401072. Available in stores. A lugged platform sole and textured insets add contemporary detailing to a versatile pull-on boot made from smooth, supple leather. Style Name: Camper Dessa Platform Boot (Women). Style Number: 5415653. Available in stores. Mixed-scale dome studs punctuate the substantial platform of a soaring block-heel bootie with a velvety finish. 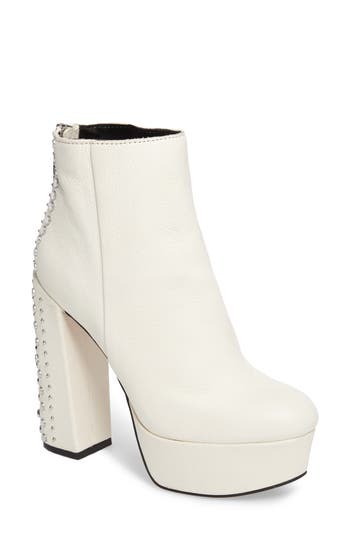 Style Name: Miu Miu Imitation Studded Platform Bootie (Women). Style Number: 5416678. Available in stores. 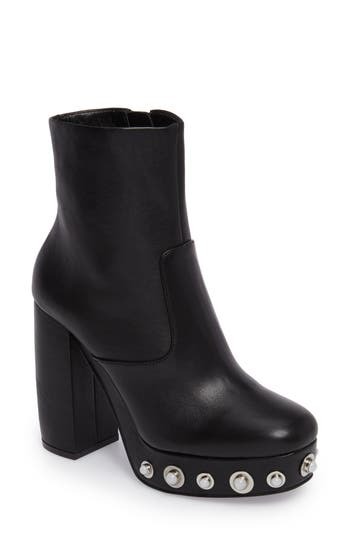 A superchunky platform and half-moon block heel update the look of an otherwise-classic bootie. 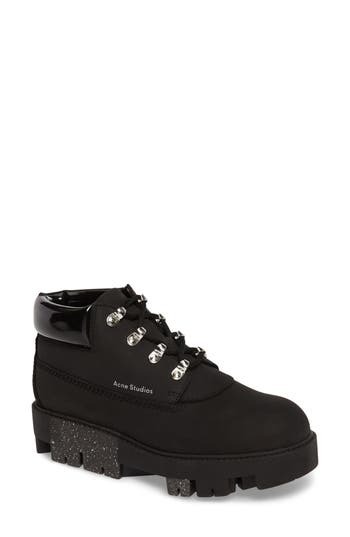 Style Name: Chinese Laundry Nenna Platform Bootie (Women). Style Number: 5511555. Available in stores. An iconic workwear boot takes a modern turn with a lofty column heel, while the lugged sole preserves the brand's signature punk attitude. 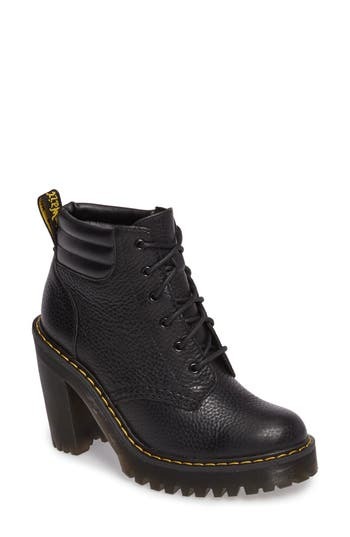 Style Name: Dr. Martens Persephone Platform Boot (Women). Style Number: 5426930. Available in stores. Mixed-scale dome studs pepper the chunky platform of a statement bootie supported by a half-moon block heel. 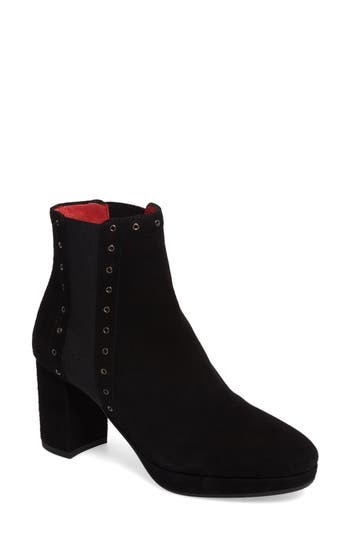 Style Name: E8 By Miista Ingrid Platform Bootie (Women). Style Number: 5393325. Available in stores. 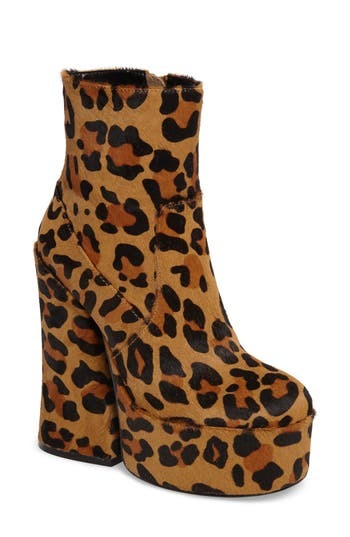 An avant-garde bootie lifted by a dramatically chunky platform and flared block heel makes a bold style statement. Style Name: Shellys London Rogue Platform Bootie (Women). Style Number: 5428148. Available in stores. A bold zipper and a contrast turndown cuff add a splash of fun to this rounded-toe bootie held aloft by a striated platform wedge sole. 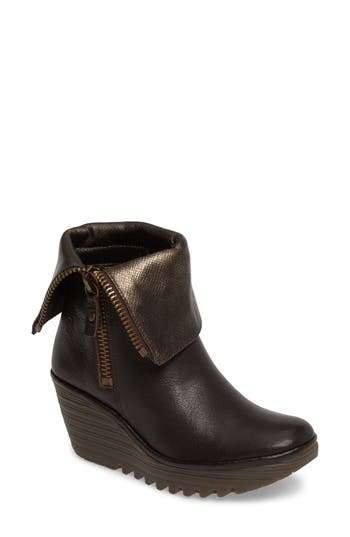 Style Name: Fly London 'Yex' Platform Wedge Bootie (Women). Style Number: 5185148. Available in stores. Antiqued horsebit hardware accents the kiltie fringe of a square-toe bootie lifted by a block heel and covered platform and given an unexpected flash of color by a hot-pink sole. 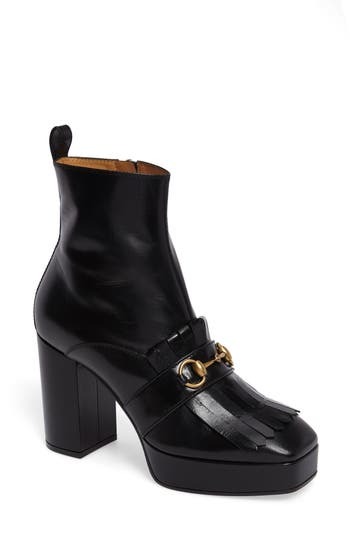 Style Name: Gucci Novel Square Toe Platform Bootie (Women). Style Number: 5419835. Available in stores. Inspired by traditional styles, this embroidered bootie trimmed with genuine shearling is set on a two-tone rubber platform grounded by distinctively rippled treads. Style Name: See By Chloe Klaudia Genuine Shearling Platform Bootie (Women). Style Number: 5413986. Available in stores. 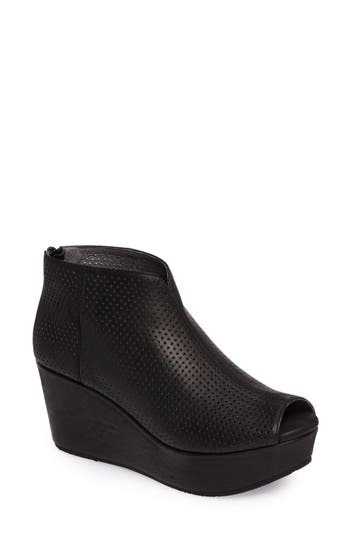 A signature curvy wrapped wedge and platform add just-right height to a punch-perforated bootie styled with an open toe. Style Name: Chocolat Blu Walee Peep Toe Platform Bootie (Women). Style Number: 5428503. Available in stores. A crepe-textured platform wedge offers plenty of lift to keep this waterproof bootie safe from puddles and splashes, while a roomy squared toe and a generously padded collar enhance the dry comfort. 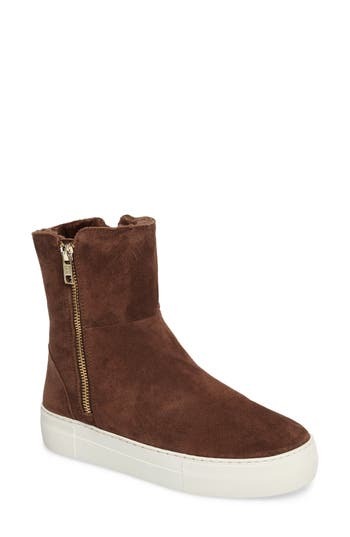 Style Name: Jeffrey Campbell Viajar Waterproof Platform Wedge Bootie (Women). Style Number: 5422382. Available in stores. Tasseled ties and pinked trim at the tongue distinguish an Italian-made bootie lifted by a covered platform and curved block heel. 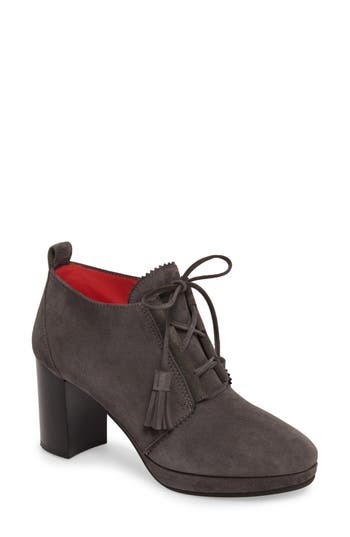 Style Name: Pas De Rouge Lace-Up Platform Bootie (Women). Style Number: 5452942. Available in stores. 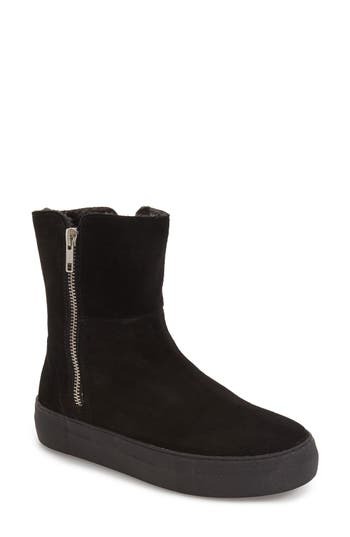 Grommet hardware updates the Chelsea styling of a sophisticated Italian-crafted boot lifted skyward by a covered heel. 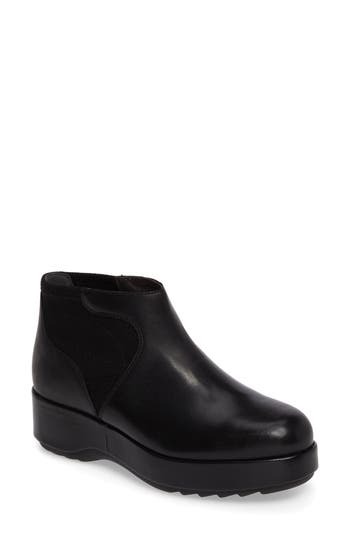 Style Name: Pas De Rouge Platform Chelsea Boot (Women). Style Number: 5452946. Available in stores. 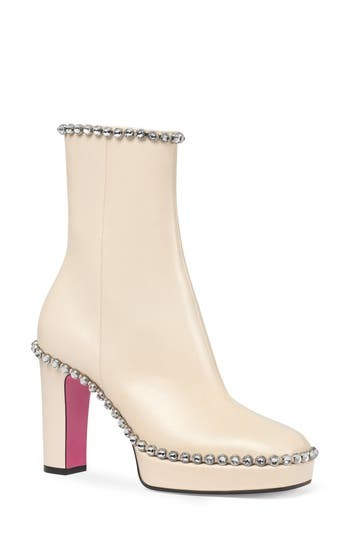 Multisized studs pair with a gleaming zipper to bring a spectrum of shape, dimension and shine to the back of a disco-fantasy bootie shaped from soft leather and lofted to the mirror balls on a rocker platform and towering block heel. Style Name: Dolce Vita Liv Studded Platform Bootie (Women). Style Number: 5419951. Available in stores. A low-cut topline accentuates the sleek silhouette of a round-toe bootie balanced on a slim platform and lofty stiletto heel. 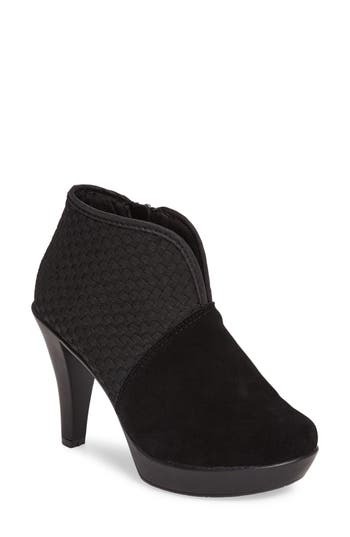 Style Name: Vince Camuto Elvin Platform Bootie (Women). Style Number: 5436471. Available in stores. A bold platform and sky-high block heel style a statement bootie made with a comfortably cushioned footbed. 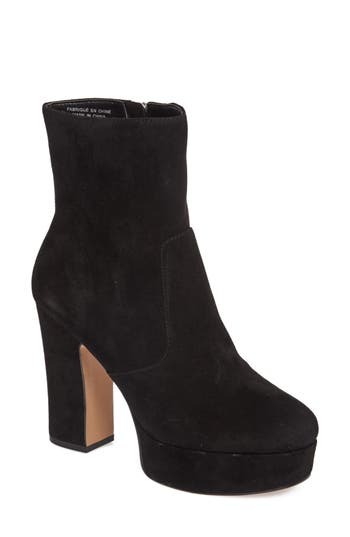 Style Name: Jessica Simpson Sebille Platform Bootie (Women). Style Number: 5411139. Available in stores. This weather-ready update to the classic Chelsea boot features stretchy neoprene goring rising sky-high and tying off with a drawstring bow. The lightly wedged platform sits on a sawtooth lug sole for added traction on wet surfaces. Style Name: Jeffrey Campbell Monsoon Over The Knee Platform Rain Boot. Style Number: 5429007. Available in stores. Shimmering crystals highlight the sleek lines of a chic platform boot made from smooth leather. A distinctive floral-print lining and pink sole add signature details. 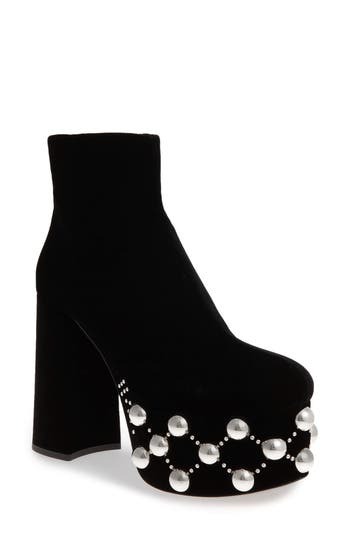 Style Name: Gucci Olimpia Crystal Embellished Platform Boot (Women). Style Number: 5419839. Available in stores. A superchunky heel and platform are completely covered for a cohesive effect on a fitted-shaft bootie distinguished by rich texture. 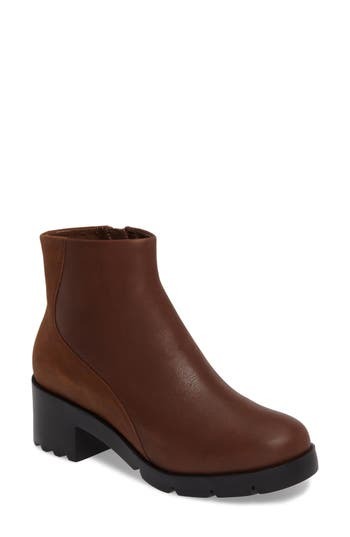 Style Name: Avec Les Filles Lianna Platform Bootie (Women). Style Number: 5458027. Available in stores.